Kirksville Aquatic Center – The Aquatic Center offers indoor and outdoor (weather permitting) pools for both recreational opportunities and aquatic therapeutic services. Participants can take swimming lessons or enjoy the health benefits of water aerobics. Adair County Veterans Memorial Plaza – The Plaza includes a wall to memorialize veterans of the region from all conflicts. The Plaza also features a World War I German Howitzer and a Civil War-era cannon. 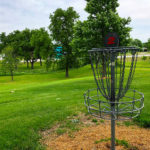 Rotary Park Disc Golf – This nine-basket course, with a practice basket at tee number one, covers 19.9 acres and runs through the entire park. The tees are concrete with benches. Baskets are numbered and par is posted for each section. The course is open year-round. Rotary Centennial Amphitheater – The amphitheater offers a venue for outdoor musical and theatre entertainment, as well as opportunities to see popular movies under the stars. North Park Complex – This 30-acre complex is located on U.S. Highway 63 just north of Walmart. It offers lighted softball and baseball fields as well as batting cages. There is also a covered picnic shelter and playground area. Visitors can also enjoy the skate park, which is 7,500 square feet and consists of concrete, steel and skatelite surfaces. The park is designed for beginner, intermediate and advanced skaters. Annual Run/Walks –Numerous opportunities exist for those interested in running or walking. Events can be found at www.the-pack.org. 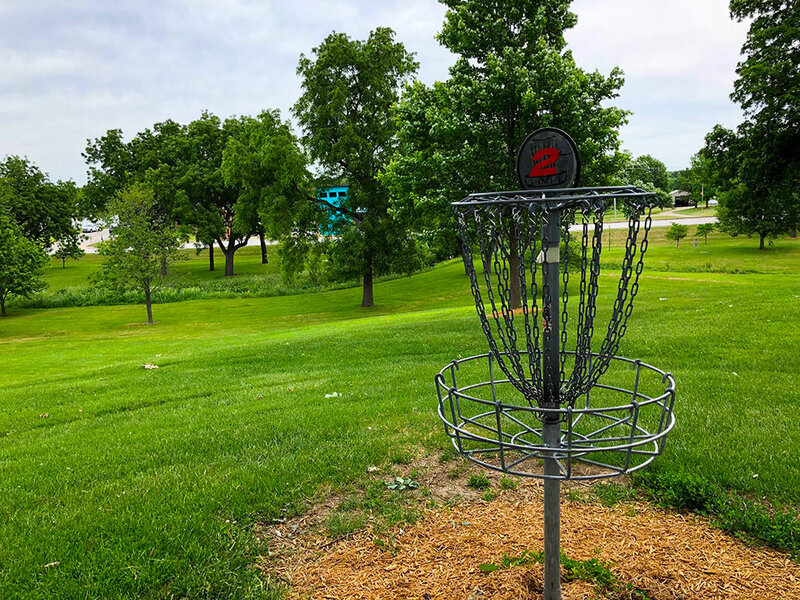 Golf – The Kirksville Country Club offers a challenging 18-hole golf course, a driving range, swimming pool, full-service pro shop and lounge. Prorated memberships are available or non members can golf up to three times a year for a small fee. Call 660.665.5335. Bowling, Roller Skating and Pool – Check out Leisure World at 2310 E. Illinois St., 660.665.7764. 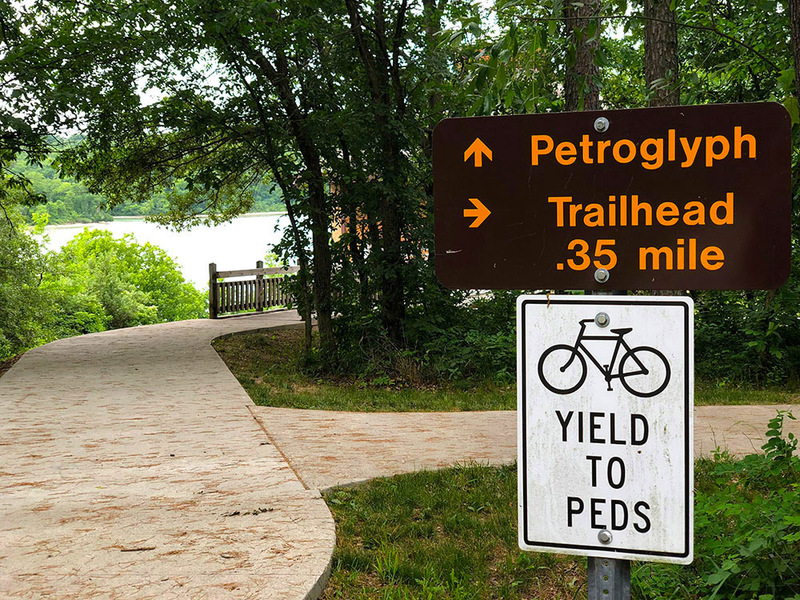 Hiking and Biking Trails – Numerous hiking/biking trails can be found in Kirksville. Thousand Hills State Park – Located two miles west of Kirksville on Highway 6, this 3,252 acre park offers many recreational opportunities. 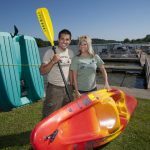 The park surrounds the 573-acre Forest Lake, which provides swimming, motor boating, sailing, water skiing, kayaking, canoeing, paddle boating and fishing. 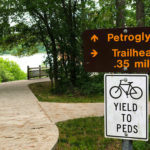 Visitors can enjoy nature firsthand with 12 miles of hiking trails, and bikers can ride on more than 16 miles of trails. Thousand Hills State Park’s Petroglyphs – These rock carvings were left behind by the area’s inhabitants more than 1,500 years ago. Archaeologists believe this area was once part of an ancient ceremonials ground used by Native Americans who inhabited northern Missouri. For more information, contact the Park Ranger’s Office, 660.665.6995. Cabins/Campgrounds – Visitors wanting to expand their stay can sleep in one of the cabins near the dining lodge or camp in a modern campground. Call 660.665.7119 to reserve a spot. Curtain Call Theatre Company – Kirksville’s premier community theatre troupe stages five to six productions a year. For more information, visit curtaincalltheatre.org. Adair County Historical Society – Located at 211 S. Elson. For more information, call 660.665.6502. A.T. Still Osteopathic Museum – This is the only museum in the country dedicated to the national history of osteopathic medicine. 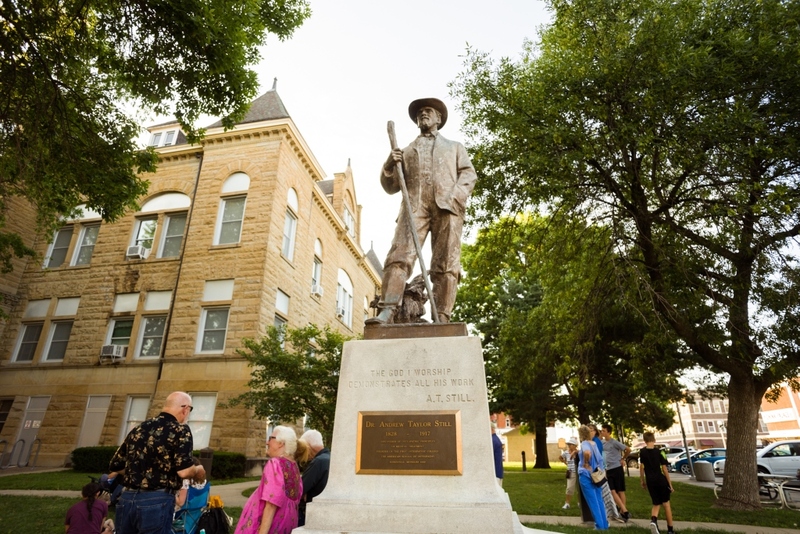 The founder, Andrew Taylor Still, established the first school of osteopathic medicine in 1892 in Kirksville. For more information, call 660.626.2359. Missouri Conservation Building – The facility contains a 1,300-gallon aquarium, snake displays, bird-viewing area and a nature shop. Call 660.785.2420 for more information. Fishing, Hiking and Hunting – Explore Big Creek State Forest, Sugar Creek State Forest, Spur Pond or Hazel Creek Lake. For more information, contact the Missouri Department of Conservation at missouriconservation.com. 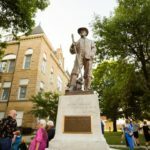 Ruth W. Towne Museum and Visitors Center – Visitors will have the opportunity to learn about the history of Truman State University, Kirksville and the northeast Missouri region. For more information, call 660.785.4114. Downtown Cinema 8 – Stay up to date with what is playing at the movies at downtowncinema8.com. 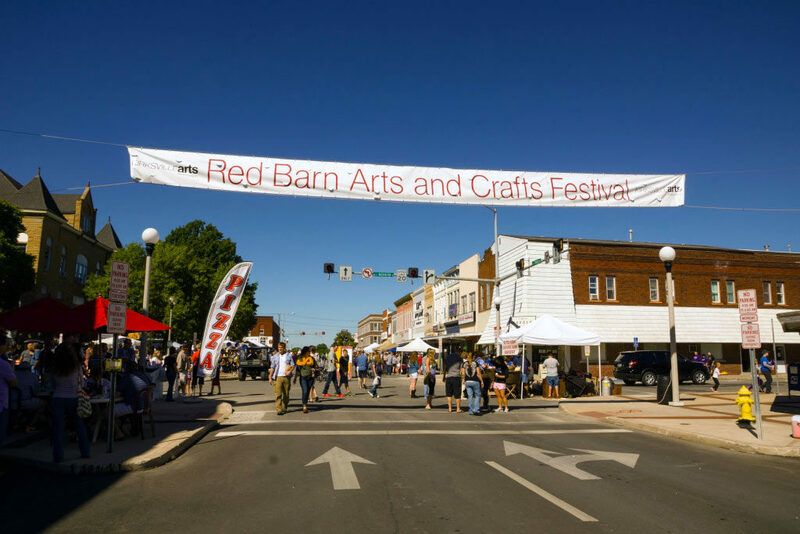 Annual Festivals – Downtown Kirksville is home to several annual festivals including the popular Red Barn Arts and Crafts Festival, sponsored by the Kirksville Arts Association. 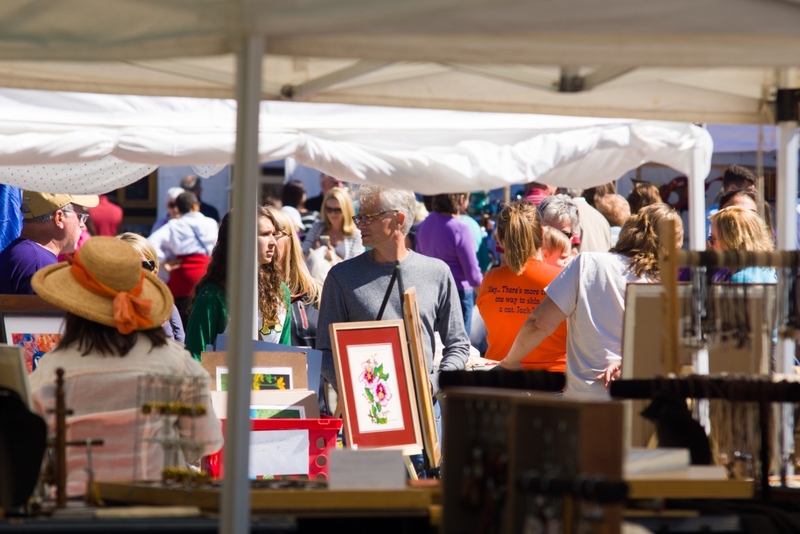 The annual fall festival boasts clothing, jewelry, pottery and art. 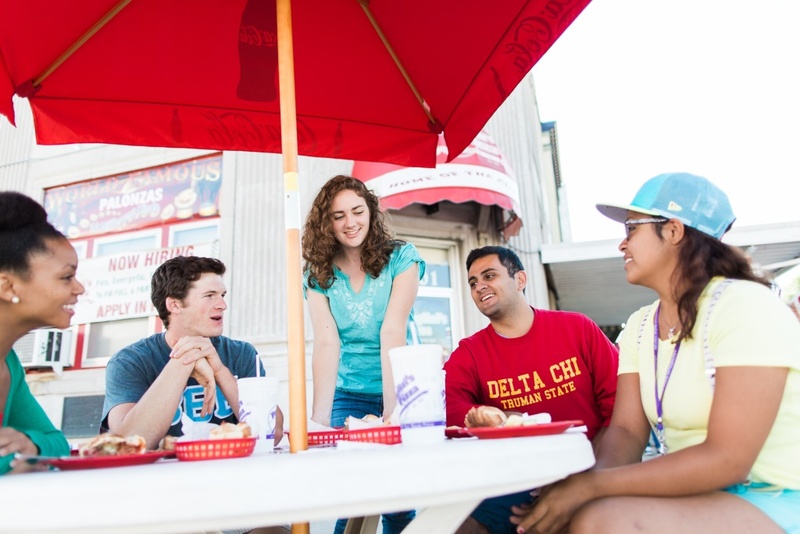 Listen to live music or watch a dance performance while you eat kettle corn or roasted nuts. For more information, visit kirksvillearts.com. Holiday Events – Join the fun downtown as they celebrate the different holidays such as St. Patrick’s Day, 4th of July, Halloween and the ever popular Reindeer Romp in December with great food, parades, 5K runs, and 1.5-mile walks. 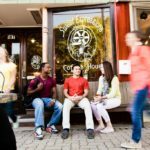 Unique Shopping and Great Restaurants – Experience firsthand the many unique shops in downtown Kirksville, as well as the wide variety of restaurants that offer Chinese food, pizza, ice cream, steaks, Italian cuisine, homemade breads and flavored coffees. 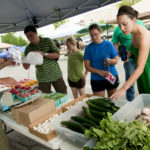 For more information about dining options in Kirksville, check out www.visitkirksville.com. 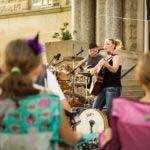 Summer on the Square – Friday nights during the summer, the Kirksville Arts Association sponsors live music. For more information, visit kirksvillearts.com. 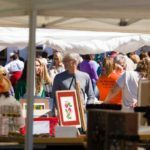 Farmers Market – Every Saturday morning, May through October, local farmers, bakers and artists bring their goods to sell. 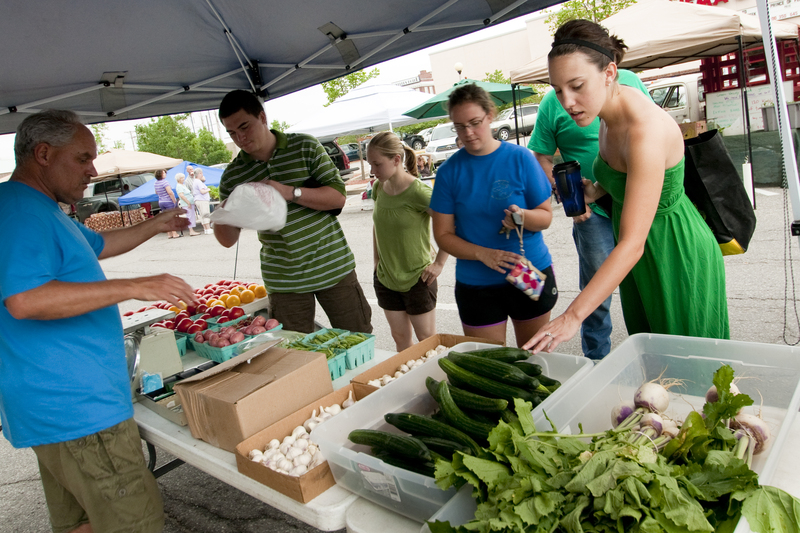 Get fresh flowers, homemade baked goods, jam, vegetables and fruit. 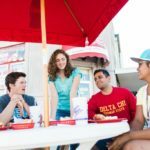 Practically everything students need is within walking distance with shopping, restaurants and cafes, farmers market, movies, nightlife and more located downtown just a few blocks from campus.